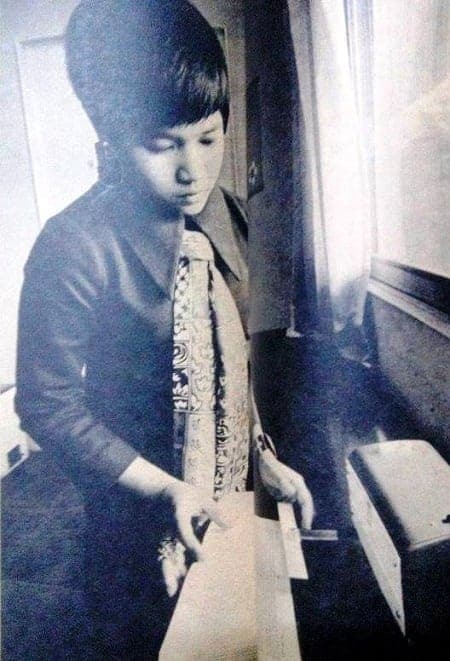 In July of 1968, a Filipina teenager became an international sensation when her phenomenal feat was reported by the Associated Press of the U.S. Such was the extraordinary gift of Calderon—for, at Northwestern University’s Rapid Reading class under Dr. Florence Schale, she had read a three-page college level essay containing 3,135 words in 3.5 seconds—a reading rate of more than 50,000 words per minute (wpm), with a remarkable 100% comprehension! (Note: an average person reads 250 wpm, with 70% comprehension). While Calderon’s reading skill was not unique (Economist Stuart Mill could read 37,000 wpm, writer Oscar Wilde could read a paper at a glance, and even Ferdinand Marcos was said to speed-read at a rate of 8,000 wpm), it was her achievement that made it to major papers in the U.S, and was headlined in Manila dailies. At the 2nd World Congress of the International Reading Association in Copenhagen in August 1968, Calderon was the talk of the conference. Dr. Schale had revealed that Calderon was, in fact, her second student capable of reading in excess of 55,000 words. The first, a University of Chicago medical student, also achieved a perfect 100% comprehension rate. Maria Teresa Calderon with mentor Dr. Florence Schale. 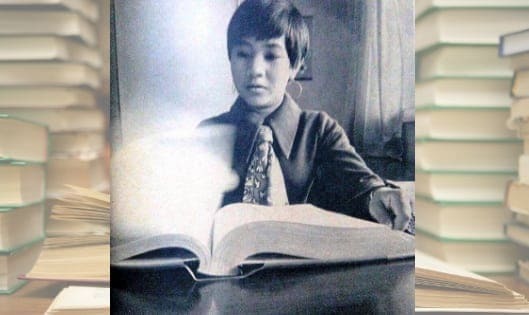 Calderon came from a family of achievers, the fifth child of Jose Calderon (an Ilocano from Candon, and a member of the 1971 Constitutional Convention) and Betty Fabros (from Batangas, the first and only woman member of the Manila Stock Exchange from 1967-83). Her eldest sister is the “Wonder Woman of Wall Street,” Lilia Calderon-Clemente, head of Clemente Capital, Inc. that managed multi-billion-dollar funds in New York for years. 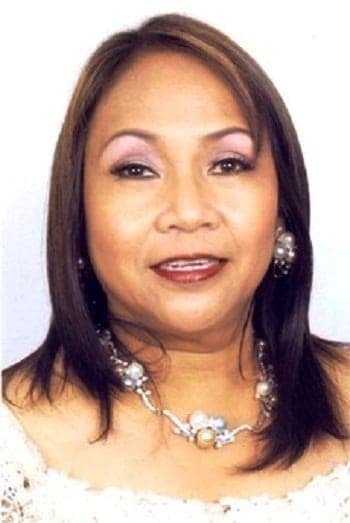 Another sister, Dr. Norma Calderon-Panahon, is a distinguished psychiatrist. 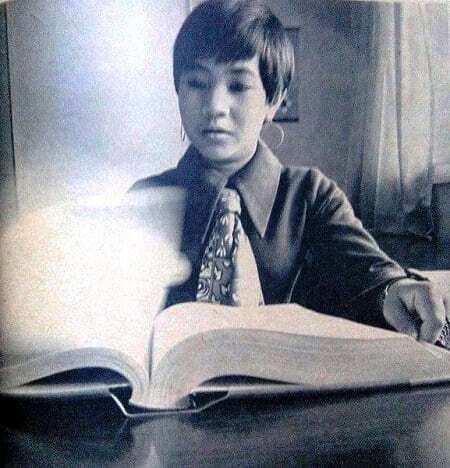 But Maria would take a different route in making her mark in history by becoming a speed-reading whiz. Calderon mastered a technique called “gestalting”—a German form of psychology that says the response of an organism is a complete and un-analyzable whole rather than the sum of responses to specific elements. This means that when Calderon reads, she would gestalt by filling in the gaps from her stock knowledge. The more familiar the topic, the faster the reader can skim. In the case of Calderon, her general knowledge was simply extensive, that in one test, she managed to still score 37,000 wpm when she was given a book to read—on golf! She breezed through Nathaniel Hawthorne’s “The Scarlet Letter” in 20 minutes, Henry James’ ”The Turn of the Screw” in 25 minutes, and J.D. Salinger’s “The Catcher in the Rye” in 40–and she understood every word and paragraph she read. In tests after tests, Calderon proved her amazing aptitude. Reading tests were administered by the University of Minnesota, the University of Illinois, the Purdue University and Northwestern University. To everyone’s awe, Calderon reset the record books with her reading speed of 80,000 words per minute with 100 percent comprehension. Her world record still stands today. In comparison, the second highest recorded speed in reading is 54,825 words per minute with 90-percent comprehension. Calderon’s records earned her a feature in the Encyclopedia Britannica (Vol. 19, 1971) and in academic journals the world over. 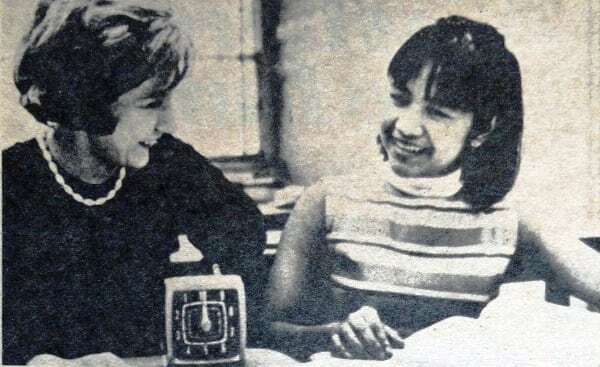 When the hoopla died down, Calderon concentrated on her schooling, earning a Political Science degree (1974), and M.A. in Education (1976), and Ph.D. in Education (1984), at the University of the Philippines-Diliman. She returned to her home province, Batangas, to become the VP for Academic Affairs at the First Asia Institute of Technology and Humanities in Tanauan. Dr. Calderon became the Dean of Arellano University’s Graduate School of Education in 2012. Today, Dr. Calderon continues to run the Calderon Reading Workshop, Inc,. 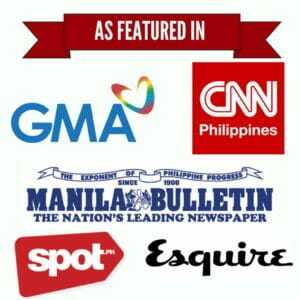 founded in 1969, and has promoted reading advocacies like DEAR (“Drop Everything And Read”) in Batangas. She has also written books on phonics and designed an Enriched English Curriculum program—all part of her mission to make reading a life-changing habit, the way it has transformed her life, for the better. (1969). Sunday Times Magazine, 54-56. Higdon, H. (1968). Can Anybody Read 50,000 Words Per Minute? A young Filipina can—and here’s how. Northwestern Review. Maria Teresa Calderon, 16. The World’s Fastest Reader. (1969). Asia Magazine.